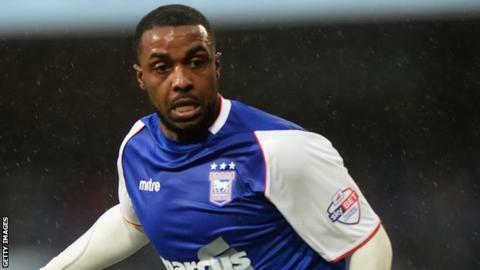 Striker Sylvan Ebanks-Blake wants to "prove himself and re-ignite" his career after joining Chesterfield. The 29-year-old, who signed a two-year deal with the Spireites on Saturday, started just one league game in 2014-15 and was released by Preston last month. He was twice the Championship's leading scorer during his time at Wolves. "I'm as hungry as ever to get back to those heights. This is the right move at the right time to get back to that level," he told BBC Radio Sheffield. "I've been unfortunate to have a couple of injuries but I feel like I'm at a stage now where I'm ready to get in at pre-season stage and kick on. "For the last season or two, I've gone in at clubs in January and played catch-up. Now I feel like I'm giving myself the best opportunity to hit the ground running and do what I do best. "Chesterfield is a very good footballing team and a tight-knit club. I genuinely believe that they could make a push in the right direction, otherwise I wouldn't have signed." Chesterfield came close to back-to-back promotions last season as they reached the League One play-offs only 12 months after going up from League Two. However, their hopes were ended when they lost to Preston at the semi-final stage.